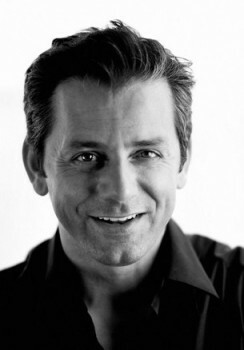 Activision Publishing CEO Eric Hirshberg says the company needs to be "transparent and honest and human" with its community in order to shed its undeserved reputation as gaming's Evil Empire. If you were told to name the most soulless, corporate and downright evil videogame company in the business today, your response would almost certainly be Activision. Somehow, despite making the most popular videogames on the planet, the company is also far and away the most widely loathed. Hirshberg, naturally, says that rep is entirely undeserved, but he also recognizes the need to turn it around. "I think that the case is drastically overstated in terms of the reality that I see," he said in an interview with Gamasutra. "I see a very creative company that gives its developers the tools and the resources they need to do great things, that isn't afraid to [delay] games if that's what it takes to get them right." One of Activision's biggest problems from a public relations standpoint is that it tends to be seen as a relentless machine that grinds ideas into money, an image that CEO Bobby Kotick sometimes seems to actively cultivate. That's a perception that Hirshberg would like to change. "It's about putting a human face on the company. It's about being transparent and honest and human in our dealings with our community," he continued. He pointed out the handling of the Modern Warfare 3 leak as a fine example of the right way to go about engaging the fan base, adding, "We got a lot of props and a lot of pleasantly surprised people in our reaction to that. People assumed that we would go silverback gorilla crazy, and we didn't." The upcoming Call of Duty Elite is a prime example of the Activision dichotomy: forums exploded with rage over the idea of a subscription-based CoD service while at the same time, more than two million gamers rushed to sign up for the beta. Hirshberg acknowledged that the limited information revealed in the announcement, necessitated by the fact that much of it is embedded into Modern Warfare 3, caused confusion, but he also noted that some people are just determined to get mad about things. "I'm not sure that there was any way we could have messaged it any better and not gotten that response from that portion of the audience," he said.